When I first saw this game being described in Google play store, the first thing that ran into my mind was an enemy attacking game which involves a lot of fighting on the beach. My thinking was not too far from the real truth about the boom beach game. Boom beach app is a great application especially to kids since it improves the thinking capacity of children and also keeps them busy. Below is a boom beach app review describing the features of the game, how the game is played, its advantages and disadvantages. 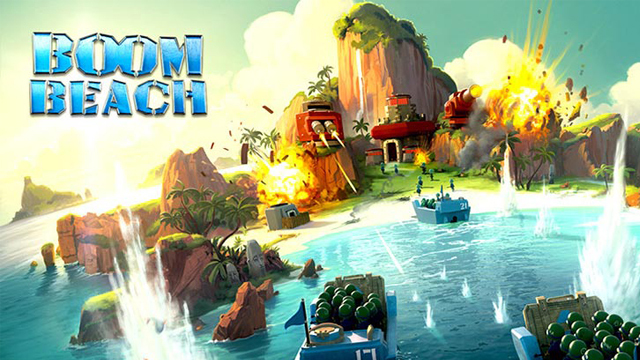 Boom beach is a game application which has recently been one of the applications to be most looked forward to by its customers this year. The users of this game really waited for the release of this game so that they can download and start enjoying the game. This is a game which was developed by Supercell who also developed another game of the same genre known as the Clash of Clans. This time Supercell tried to shift from a supernatural monarchy battle to a humid island battle. There are a number of advances which have been done on this game as compare to other games of the same genre such as the Clash of Clans. Such improvements include better game graphics. When playing this game your main mission is to set free the slaves who have been held hostage in on the island by certain wicked assailants. Thus you are required to set free as many islands as you can. In exchange of setting free the islands which have been attacked by the assailants, you are paid with gold and assets by the islanders. These payments are very crucial in that they assist you in building up and enlarging your foundation as a player. You might end up attacking certain islands which belong to other competitors and this will make the players to attack you in return. Thus it is very important for you as a player to build up and enlarge your base since it will protect you from incoming attacks from the other players. Once you destroy the control center of your enemies within the set limit of time, you are declared as the winner. The game has levels which allow the player to improve his group and armor. When you involve yourself in playing the Boom Beach game you will have the fun of the game. This game helps the player to think more thus improving the thinking capacity of its users. It also keeps the users busy since they put all their concentration on the game. It also teaches the player the need to develop patience. It is also easy to play. Children who are exposed to playing this game usually are addicted to the game and spend most of their time playing games other than engaging in physical activity which is important to their health. Some of them end up suffering from obesity. Boom beach is a great game as families which have kids have responded saying that it teaches children how to be patient and the importance of patience. And its ease of playing makes it popular among other similar games. Woozworld – Fashion Enthusiast with free time? When I first saw this app in the Google play store, I expected it to be another one of those fashion games-choose your character and keep changing their clothes and outfits. I am a “Fashionista” as you call them, pretty much an enthusiast about fashion, clothes and what looks best nowadays. So naturally, in my free time, this kind of games is what entertains me the most. And as this game looked better than most other fashion games/apps, I took the decision to try it. Immediately upon loading it for the first time, I realized that I was definitely right when I thought it looked better. 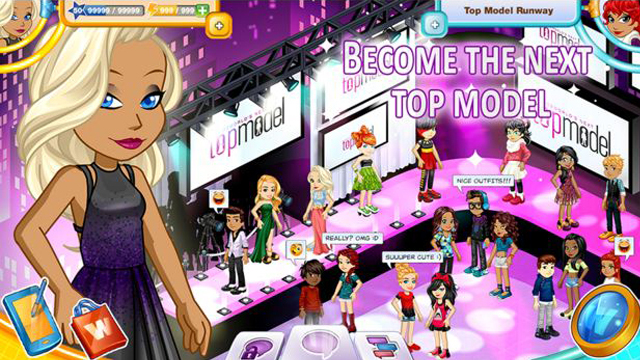 Unlike most other fashions games that only depend on playing dress up with your doll, Woozworld allowed you to do much more. Playing this won’t only let you change your doll’s clothes to what suits fashion best, but you can open up your own restaurant or boutique to run even-pretty cool, right? It’s a mix of fashion and usual cafe/restaurant apps, and it’s a welcome mix indeed. Wait, so that’s it? Well, right now, it sounds like having to decorate your dolls and the project you decide to open up, but the game isn’t as superficial as that. Your character has a story that needs to unfold on your hands, and a house to decorate and reflect their personality! Now this is something that really appealed to me-it seemed like your character really has a world of their own that you can immerse yourself into and live it to the fullest. It really isn’t just a traditional dress up game. There would be also weekly contests, campaigns and quizzes to keep you from getting bored or having the game become repeated. Even hosting prom parties-something that I really liked because there are no prom parties where I am and I always wanted to run one or at least attend it. But games can eventually become boring if you play on your own no matter how interesting it is, right? That’s why Woozworld is a multiplayer game, allowing you to chat and play with your friends from all around the world. Have no friends who are as interested as you are in fashion? No problem, because you can always make new ones through Woozworld. Well, let’s sum this up now, shall we? – Complete customization of character starting from their story and house to their looks and clothes. – Chatting and meeting new people and playing with your friends. – Open up your own project, restaurant or boutique and reach stardom through it. – Easy to use interface and pretty fun game overall. – Slow loading and can freeze sometimes, which doesn’t make it very friendly to cell phones with normal processing ability. – Furniture and clothes are a bit too expensive. – There are a lot of technical bugs that can be annoying at times, but there’s quick support so this makes up, I suppose. To sum up this Wooz World App Review, let’s say that it’s a very fun game and anyone who’s quite interested in fashion games should try it. It’s best if you have a good cell phone with good processing power though so you can enjoy the game to the fullest. Master of the Masks is a fun game where you are able to presume the roles that is beneficial to your circumstances. An entertaining game, that is sadly coming to end and on as of 12:00 am July31st, 2015 (PDT), therefore you are unable to enjoy the game at its full potential, as you have no longer the ability to purchase gold coins. Whether you dress yourself in the mask of the jester to amuse a throng or the mask of the warrior and fitting together in the battle, your paramount talent is your changeability. You achieve the capacity to design powerful magical masks, respectively allowing you to take on a diverse persona and gain some feature of that being or archetypal personality. At the first level, you acquire the ability of creating and using two masks such as the Angel, Archmage, Assassin, Demon, dragon and many more masks. At level two, and at each odd-numbered level thereafter, you can create and use another more mask from the selection available. You require eight hours of work to create a new, individual persona mask, and it will cost you 100GP, that no one else can use. You receive the powers, by merely donning the mask with a standard move, and in a single move, you can remove it again. When worn, the mask’s advantages instantaneously applies. Your Master of the Masks level is your caster level for any spell-like capacities shaped by a mask. In adding to its other assistances, a mask hides your alignment, substituting it with an alignment proper to the mask. You keep your usual alignment for all further purposes. You are able to wear one or more masks at the same time. The game is fun to play, and user friendly, just need to be able to retain your excitement in creating your next mask. I experienced the visuals and controls as easy enough to use. Age restriction on the game is 13. Masters of the Masks is completely free to download and play. However, there remain, some game object, which obtainable for real money. You are able to restrict in-app purchases in your device settings. Game installation is possible on android, as well most apple applications. Internet connection is require for the game to function. By winning the battles allowing you to spin the wheel you are able to earn materials to upgrade your weapons. 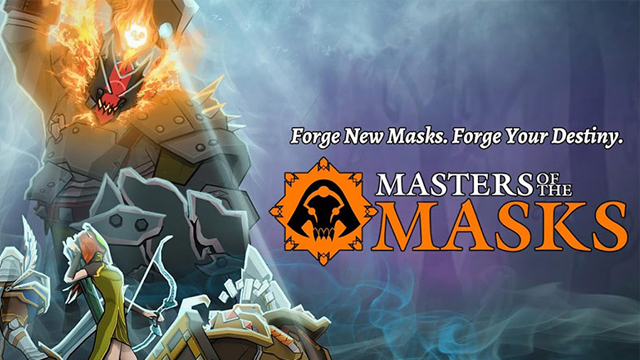 Improve your skills, weapons and masks as the game continue, and of course your masks. Typical from games innovated by Square Enix, regular updates was done, promising to the experience you can have for the next few day.